All must have heard about BOFORS scandal in news recently or over the past few years. Some may not have any clue what is it all about while others may be thinking that BJP is flocking a dead horse and trying to gain votes by falsely leveling acquisitions. Let’s start with some history on the Bofors scandal, which remains till date one of the biggest scandals in Indian politics. It all started when India decided to purchase 400 155mm Howitzers (fancy word for really-big-kickass-gun) from Swedish company Bofors AB for $1.4 billion in 1986. In 1987 the then Prime Minister Rajiv Gandhi and several others were accused of receiving kickbacks for this deal. Ottavio Quattrochi was a businessman close to the Gandhi family and a prominent man in the hallowed passages of Indian government. His name came up as the middleman in this deal. The Bofors scandal was enormous. Rajiv Gandhi lost the 1989 elections due to the backlash of these allegations. Other accused included the Hinduja brothers and Win Chaddha, an agent of the Bofors company. Chaddha died in 2001. Gandhi was assassinated in 1991, and was cleared of the corruption charges against him in 2004. In 2005, the charges against the Hinduja brothers were dismissed by the Delhi High court. The CBI chief PC Sharma attributed the failure to the fact that they were in a foreign country and had to present the case through a foreign lawyer. Maybe they should start training multi-lingual Indian lawyers? Malaysian ones are apparently no good. 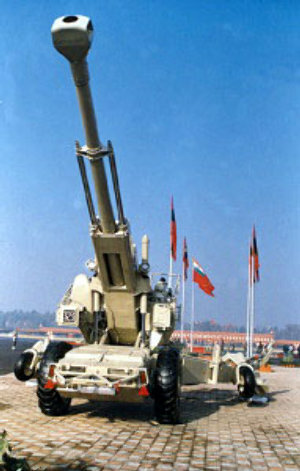 In December 2005 the Indian government de-froze Quattrochi’s bank accounts on grounds of insufficient evidence to link those accounts to the Bofors payoff. A month later the Supreme Court directed the government to ensure that money was not withdrawn from those accounts. It was too late by then. Rs 21 crore ($4.6 mn) had already been withdrawn from the accounts. Quattrochi was arrested in Argentina in February 2007. The CBI tried to get him extradited to India, but their plea was rejected by the Argentinian courts. The CBI had the option of appealing to a higher court, but it failed to get a clearance from the center. We wonder why that would be. The judge noted that the CBI did not even present proper legal documents for Quattrochi’s extradition, which led to their request getting rejected. Besides, the Indian government’s decision to de-freeze Quattrochi’s bank accounts did not really add credence to their request. Over more than two decades the case has dragged on like an Energizer bunny, with no end in sight. For some involved parties the case ended with death, some were cleared of charges, but the scandal lives on. Strangely enough, you can’t attribute it all to the Congress. The Congress may have had an interest in this case, but we have had some non-Congress governments too during these past twenty years that have allowed this drama to carry on, culminating with Manmohan Singh’s government’s farewell gift to Mr Quattrochi. Our Prime Minister says that this case is an embarrassment to the government. We can’t help wonder who the real embarrassment is.